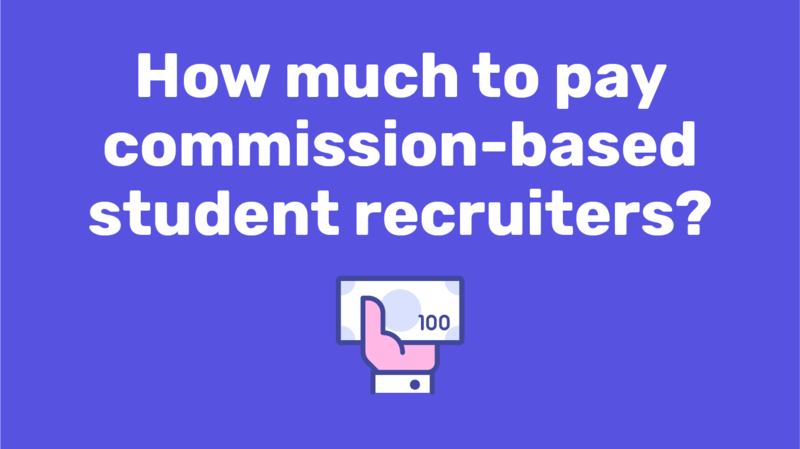 How much to pay commission-based student recruiters? The agent debate ended a number of years ago for most of us. Sure, there are a few stragglers complaining about the unethical practices out there. Our view: Every industry has unethical characters. Commission-based recruiters, as a group, have more than their fair share. Basic buyer beware precautions are the rule. Careful vetting and management of your recruiters will keep you from getting burned more than once. Rather than being asked whether commission-based agents are a valid recruitment channel, we are now consistently asked, “What is the going rate?” And the market is shifting. Intead and AIRC set out to understand as much as we could from both universities and agents in the current market. We published our report late last year and offered up a well-attended webinar. Want to learn more about what others are paying their agents and how they are managing those relationships? Our most recent research findings and the webinar recording are just a click away. How’s enrollment going these days? Are your numbers where they should be? Is the trend on the right track? 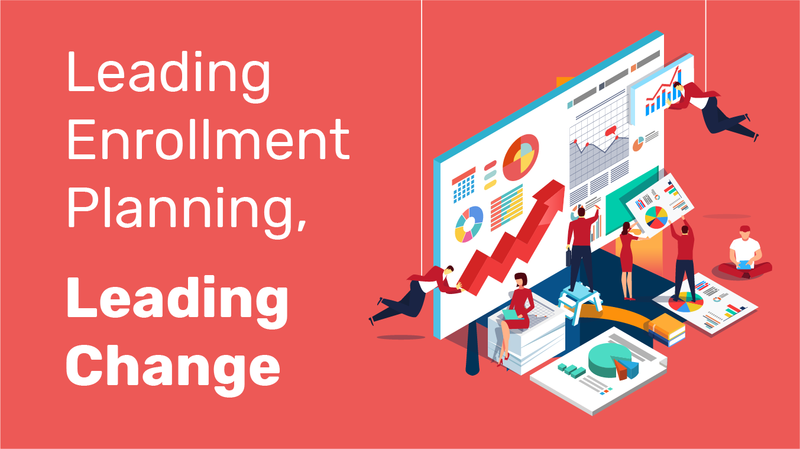 For so many enrollment administrators, these questions prompt a level of anxiety because the trend is down and the storm clouds on the horizon bode more of the same. There are steps you can take. And it is time to stand tall and act. Our advice: Never waste a good crisis. Regardless of the field you work in as a leader, there is the perpetual challenge of launching new initiatives. The ideas and business plans are one thing – coming up with them is actually quite manageable. The world is full of opportunities that absolutely can and will succeed with the right team and resources behind them. So here’s the question: Are you doing the assessments necessary to find the best path forward? Market research looking outward can tell you where the opportunities are. Couple that with a deep internal assessment that identifies what is working well and where your investment of staff time and resources is doing the greatest good (and where it is not). One common element of this work is typically our digital audit to understand your online presence, web traffic and email performance. The results of this audit provide both market receptivity metrics as well as internal performance metrics. You can access our experience and chart your path forward. At the AIRC annual conference this December, we will deliver a full-day workshop on global digital marketing and enrollment planning. This could be the low-cost opportunity that helps you jump start your enrollment plan overhaul. We hope you’ll take advantage of this opportunity. Been at the gym and seen people working out for what is clearly the first time in a very long time? Have you seen them put the machine on some ridiculously high setting right out of the gate? Disaster waiting to happen, right? Our regular blog subscribers have heard us talk about testing your digital marketing to international student markets before setting the dial to “intense.” I thought I’d take a moment to explain the rationale and the approach. Bottom Line: Small marketing tests—that look at the combination of distribution channel, timing, message, content and design—are going to lead you to large scale success if you take the time to do it. To do this well, you need an innovation budget to allow for failure. Yes, failure. Why? Because you learn from failing and when you fail fast and cheap, you achieve success with confidence. With digital, this is the way of things. 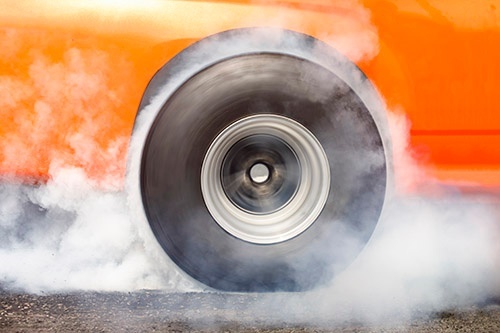 What you really want to know: How many clicks? And importantly: How many conversions (applications and enrollments)? Since then, many Midwest institutions are stepping up their investment in world class international recruiting efforts that focus on core differentiators: affordable tuition and living costs, great international student services, a perception of a “safer” environment and American students who speak English without an accent (yes, that is a selling point). So here’s the pro tip: universities in the middle of the country interested in attracting international students need to play up the academic programs that make them strong and different and not always go head-to-head with competitors on the coasts where touting business and engineering is always the thing. Consider agribusiness and water/environmental science. Why, you ask? Emily is about to take us through the rationale — and the data tells the story. With so much to consider, I hope you know that we are here to help you figure all this stuff out. 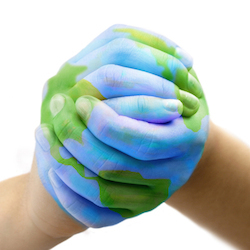 Are You Prepared for an Influx of International Students? Does this sound familar? Your institutional leadership has announced that you will be embarking on a campaign to increase your international student population. 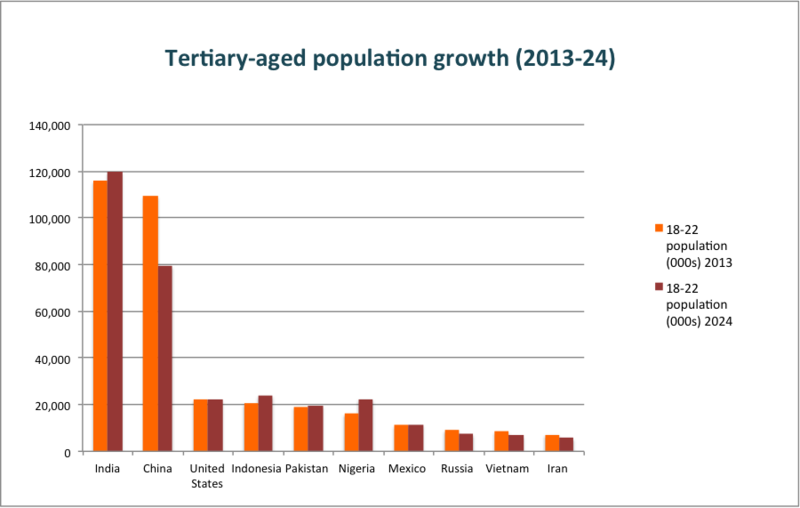 By 2017 you need to increase the number of international students by 100, 500, 1000 students. Are you really prepared for an influx of international students? In 2014 our research and editorial teams worked hard to bring you engaging and cutting-edge blog articles. As we enter 2015 we thought a retrospective of the best and most popular Intead content of 2014 was in order-- just in case you missed anything the first time around. Grad student mobility in 2024 is easy to predict. Really? “It's tough to make predictions, especially about the future.” as Yogi Berra is famously quoted as saying. In general, it seems much more fun to make long-term predictions, since nobody will check back whether we are right or wrong. 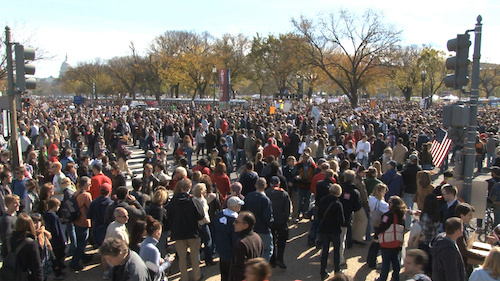 And yet, with this blog coinciding with Election Day, there are plenty of pundits making all kinds of near term predicitions as we write this blog. At least half of them are going to be wrong. Will any of us go back and take them to task? So why all this talk about predictions? The British Council published their 2024 forecast for postgraduate mobility trends. ICEF was kind enough to post the full report. The authors state clearly that they rely on trends, "for which there is data available, and do not take into account other variables that may affect international student mobility in the future." We'll be honest with you, we are really struggling with this last line. Making predictions about the future without considering other variables for which you have no data? Hmmmm. 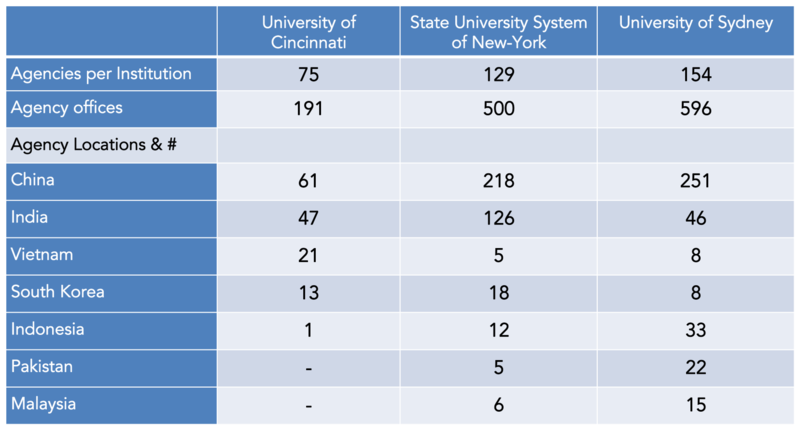 How Can Your Institution Compensate For Rank-o-Mania? The season of new ranking releases will be upon us again soon. Admission departments worry that their school's U.S. News & World Report ranking will be lowered and student, faculty, and alumni will let their displeasure be known. Here it is. Delivered fresh to your mailbox. Another exciting edition of the Intead Index, one in a series of indices that provides you with all of the information you need to make informed decisions. In this edition we provide you with a comprehensive chart outlining the many credential evaluation companies. How Many Reps Do You Need to Cover the World? 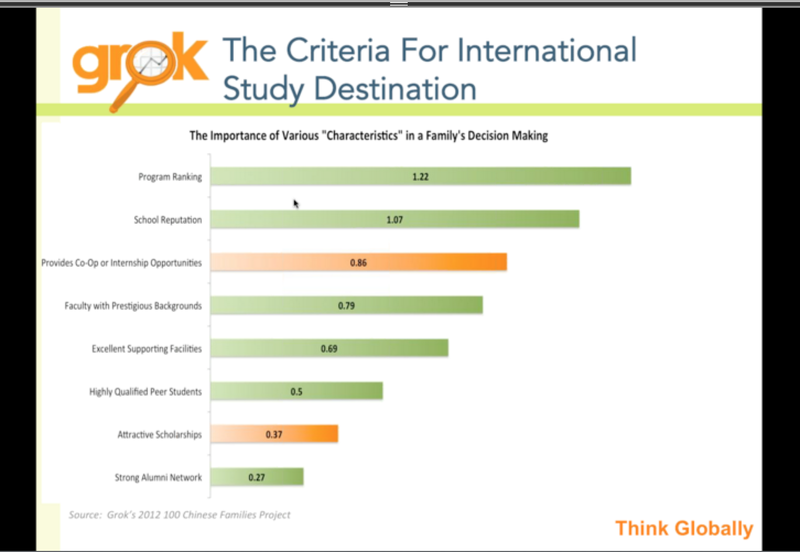 Worldwide student recruitment is a big task. We wonder: how many representatives do you need to be successful? What is the ideal number of internal and external international student recruiters?